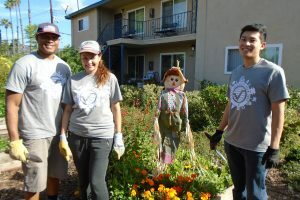 Earlier this fall, Verisk 3E, a local Verisk Analytics business, joined Interfaith for the second year in a row for their annual “Volunteer Week.” Helping multiple Interfaith programs, Verisk 3E employees participated at a variety of locations, all in the spirit of helping their North County neighbors in need. Founded in 1988, Verisk 3E provides data and information services which enable companies to improve compliance with Environmental, Health & Safety (EH&S) regulations and supply chain obligations through the entire life cycle of chemicals and products. 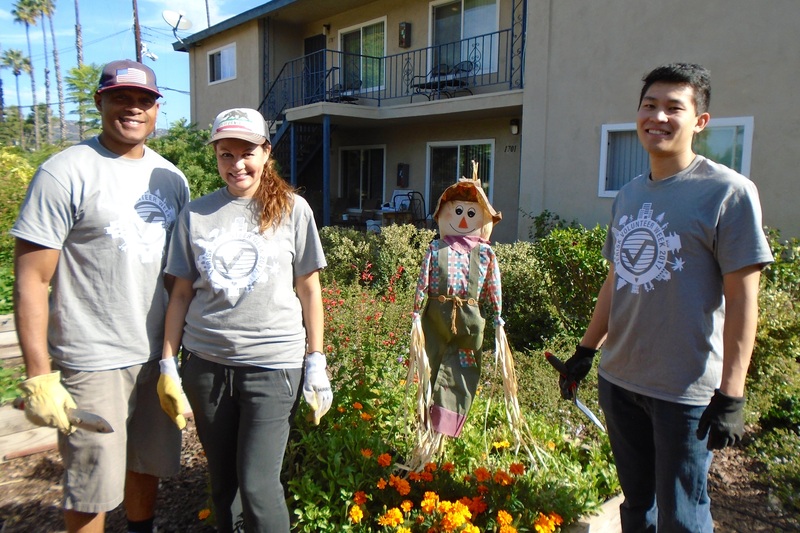 Verisk 3E also prides itself on their BetterWorld program, which connects colleagues and families to meaningful community opportunities that reflect the company’s shared values, team culture, and mission. Through focused, measurable initiatvies, Verisk 3E seeks to support the sustainable social and environmental welfare of their three key areas of focus: “Land, Ocean, and People” on a local, national, and global scale. Food Distribution Friends: Verisk 3E team members helped pass out food at food distributions, which are opportunities for clients and community members to receive food so that their families do go a day without a meal. Gardeners on Aster Street: The gardens on Aster Street are always in need to some trimming, weeding, and maintenance, especially in the fall when we prepare the foliage for winter. 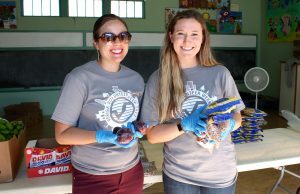 Garage Organizers: For the team members who think of themselves as “professional organizers” or see the benefit of helping turn a garage of donations in a retail store, Verisk 3E helped Interfaith create easy access to donated items to make a family’s new apartment a home. Hygiene and Winter Weather Kit Makers: Hygiene products are always one of Interfaith’s top needs and provide people with dignity and well-being, Verisk 3E members made kits to help our clients prepare for colder weather, which included collecting socks, gloves, scarves, hats, lip balm, and lotion. Interfaith thanks the whole Verisk 3E team for dedicating so much of their time this fall to helping Interfaith and the clients we serve! We hope to continue to welcome them back for their “Volunteer Week” for many years to come, and appreciate their generosity and hard work.